I met Lani Axman by phone and e-mail a few years ago and we became fast friends, even kindred spirits. Can you see the love for each other on our faces? It is so real. And this was our first meeting in person after several phone calls and e-mails. We both have a deep love for the souls waiting to be born as well as the castaways, the aborted ones. 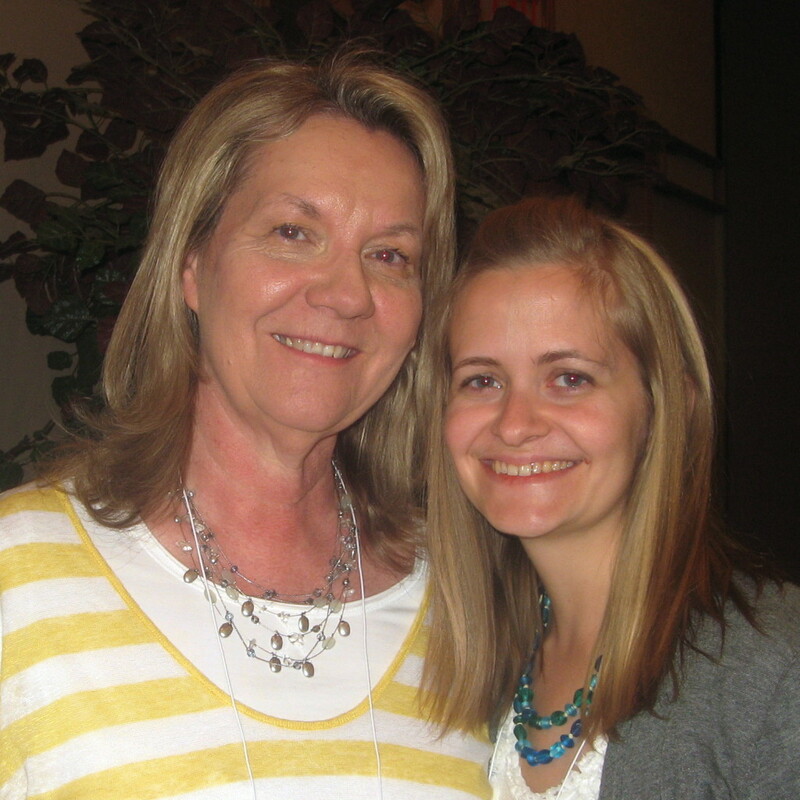 I am deeply thankful for Lani and her work to help mothers prepare to bring the souls of God into their families. Check out Lani’s website and blog at: www.thegiftofgivinglife.blogspot.com as well as www.birthfaith.org. Also thanks to Lani for putting up the site www.theyremember.org which has been a tremendous help in my ongoing research. In a typical prebirth experience (PBE), a parent, sibling, aunt, uncle, or grandparent, etc., receives communication from a child before she is born, or in many cases, before he was even conceived. These unborn children at times can warn, protect and enlighten us through the veil. Most of my children appeared to me in dreams or visions before they were born. I have written about some of those experiences on my blog (see HERE, HERE). I cherish these glimpses from beyond the veil. Yvonne (name changed) was 17, pregnant, penniless, and afraid. She was at her wits’ end not knowing what to do. . . . Nightly, she cried herself to sleep. The angel pulled back the curtain and gave her a look into the future. Yvonne watched as her baby, healthy, strong, and beautiful was placed by the angel into the arms of a wonderful, caring, loving couple. The next scene showed the baby as a grown woman, mature and happy. 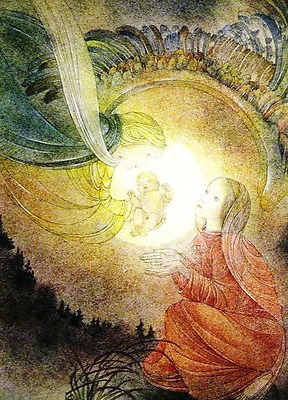 The angel told her God was concerned about the baby and would work it all out for good for her as-yet-unborn child. Then the angel turned to Yvonne and touched her with a light that seemed to give off a warm glow that stayed with Yvonne in her heart. As Yvonne awoke the next morning she felt wonderful, loved, and that everything would be worked out for the best. On this same day she was introduced to a lady who told her about a support group/home for unwed mothers. The next day Yvonne found herself in attendance with this support group where she found healing. . . . Her choice was to give birth and place the child with a Christian adoption agency. I love Maggie’s Place, a local support home for pregnant women in need. I hope to be more involved in their mission as my children get older.